Is Snoop Losing His Marbles or is he a Genius? 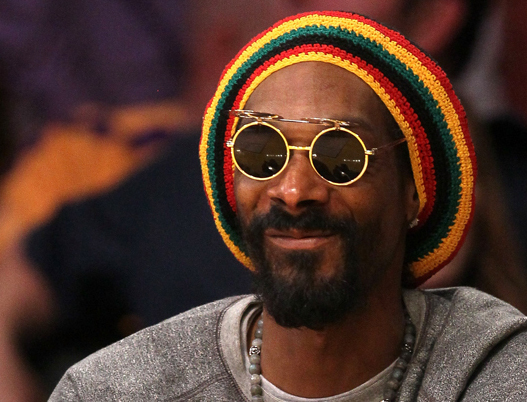 SNOOP LION (yes, the ooooold rapper formerly known as Snoop Dogg – I can’t believe we’re going along with this name change) has inked a deal via his newly established production company, Berhane Sound System, with RCA Records to release REINCARNATED, the reggae and dancehall influenced album executive produced by Diplo and the Major Lazer production team. The album is slated for a Spring 2013 release in conjunction with VICE Music and Mad Decent. A new track from the album, “Here Comes The King,” featuring Angela Hunte, has been released, which was produced by Diplo & Ariel Rechtshaid and co-produced by 6Blocc. The recording process in Jamaica of the music from REINCARNATED the album was documented in the film of the same name. An official selection of the critically-acclaimed Toronto International Film Festival, the highly-anticipated VICE Films/Snoopadelic Films documentary, REINCARNATED, chronicles Snoop Dogg’s spiritual journey to SNOOP LION that grew from his recent trip to the island – where the Jamaican people and culture positively affected him. More information regarding the album will be released at a later date. All these drastic changes in Snoop’s life just scream “Mid-life crisis!”. Nah, homie, we’re not buying the turning-a-new-leaf-in-life story. You’ve gotten us too many times.